Thank you to everyone who participated on our ZVT Walk and Talk on the 24th of November. We were delighted by the turnout for this event and we’re committed to providing more opportunities to learn about the beauty of the reserve to our members through interactive events, starting in February with a guided botanical walk. Details to follow shortly! 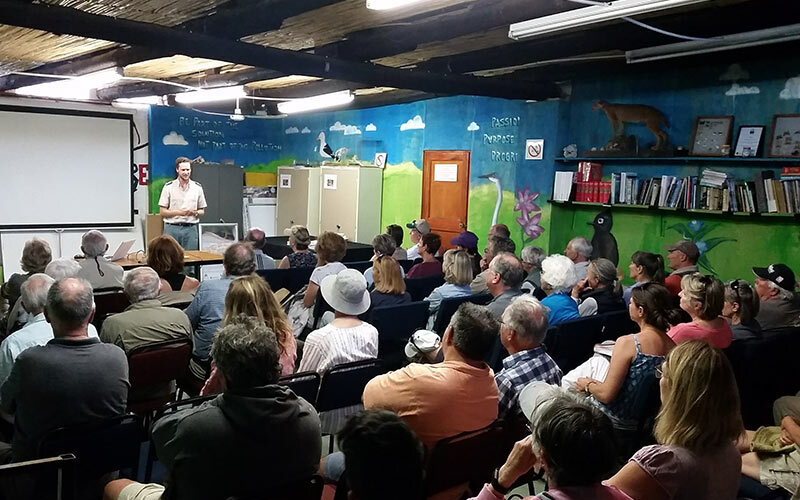 The event was very well attended, with over 50 members and soon-to-be members taking time out of their weekend to learn more about the Zandvlei estuary through a presentation from reserve manager Kyran Wright, followed by a lively discussion and guided walk of the reserve. It’s safe to say that everyone learned something new, whether it be about the incredible diversity of plants and animals, or the unique challenges of managing this urban estuary – the only functioning tidal estuary on the False Bay coast. Many thanks also to all of those who were inspired to sign up as new members! Your support is greatly appreciated and we look forward to welcoming you to future events in 2019!